This is from the lower roadway at Portland International Airport where one picks up arriving passengers. 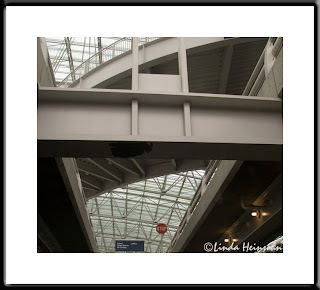 I love the arching roadway and span underneath the skylight at the airport entrance. I shot this quickly as I was waiting for my husband to load his suitcase into the trunk.